Hungarian-born piano virtuoso Franz Liszt wrote three versions of "Liebestraum" between 1847 and 1849, finally publishing in 1850. The third version, "Liebestraum No 3 in As-dur opus 62," became the best known and it is on this version that "Today, Tomorrow and Forever" is based. I have been unable to verify earlier claims of an original recording dating from 1910 (the recording of "Liebenstraum" from that year by the Johann Strauss Orchester is of a different tune). 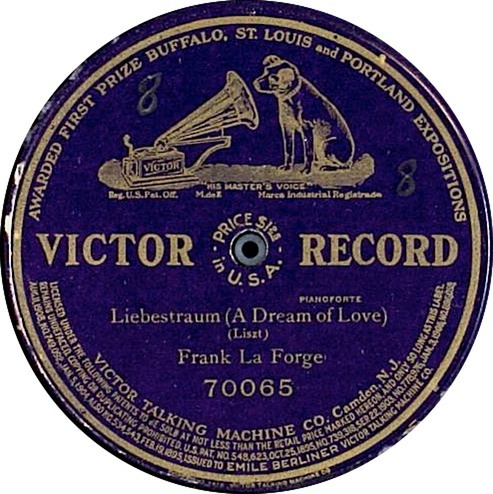 Frank La Forge's piano solo recording was made on 24 May, 1911, and released as a 12" disc on Victor 70065. Elvis's original release was a solo number, but an interesting duet featuring Elvis with Ann-Margret, who co-starred with him in "Viva Las Vegas" can be found on the 4-CD set, "Today, Tomorrow And Forever."